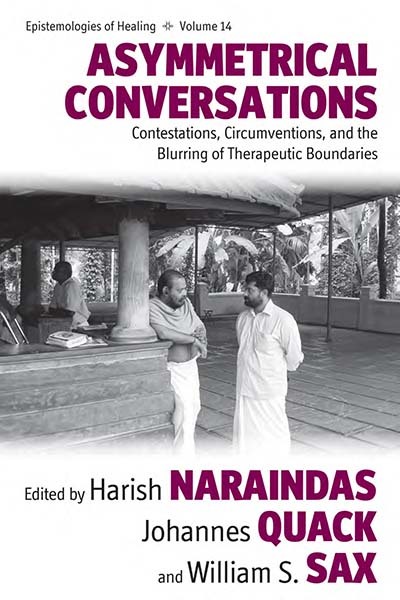 Harish Naraindas has taught at the Universities of Delhi, Iowa, Freiburg and Heidelberg. He is currently Associate Professor in the School of Social Sciences, Jawaharlal Nehru University, New Delhi, and Adjunct Associate Professor at the University of Iowa. He has published widely in leading journals on medical tourism and co-edited a special issue of Anthropology and Medicine (April 2011). Johannes Quack is principal investigator of the Emmy Noether-Project “The Diversity of Nonreligion” at Goethe-University, Frankfurt. He has been a Postdoctoral Fellow at the “Asia & Europe” Cluster of Excellence, Heidelberg University, and the Division of Social and Transcultural Psychiatry, McGill University, Montreal. He is author of Disenchanting India: Organized Rationalism and Criticism of Religion in India (2012), and co-editor of The Problem of Ritual Efficacy (2010). William S. Sax has taught at Harvard, Christchurch, Paris, and Heidelberg, where he is Chair of Ethnology at the South Asia Institute. His major works include Mountain Goddess: Gender and Politics in a Central Himalayan Pilgrimage (1991), The Gods at Play: Lila in South Asia (1995), Dancing the Self: Personhood and Performance in the Pandav Lila of Garhwal (2002), God of Justice: Ritual Healing and Social Justice in the Central Himalayas (2008), and The Problem of Ritual Efficacy (2010).